Held at the Westport Field Station from 7th to 13th of May 2006. A detailed foray report by Petra White is also available as a PDF. 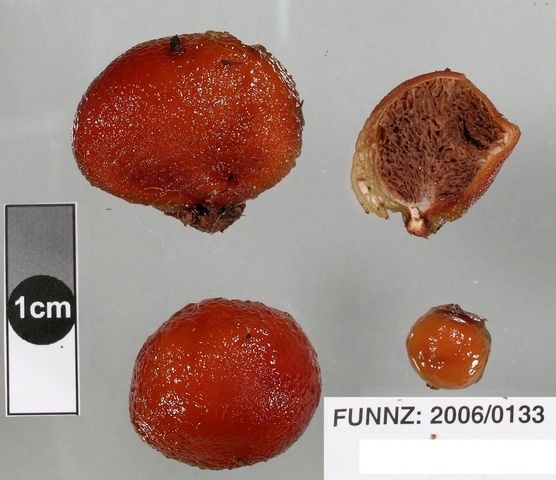 Funding from the Terrestrial and Freshwater Biodiversity Information System Program (TFBIS) allowed us to capture information on collections more systematically than had previously been attempted and the society is grateful to TFBIS for its support. More information on the TFBIS project may be found here. 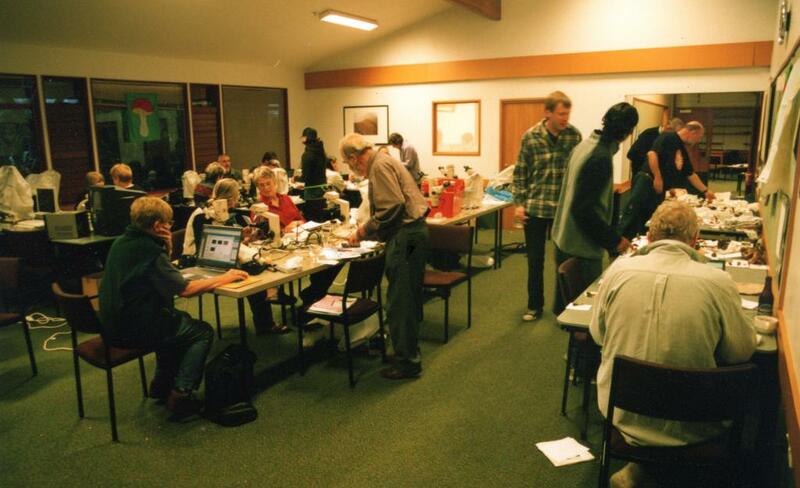 During the foray we captured information on 682 collections representing 253 taxa. 335 collections were added to PDD. None had a Nationally Critical status although 57 records had a current Data Deficient status. 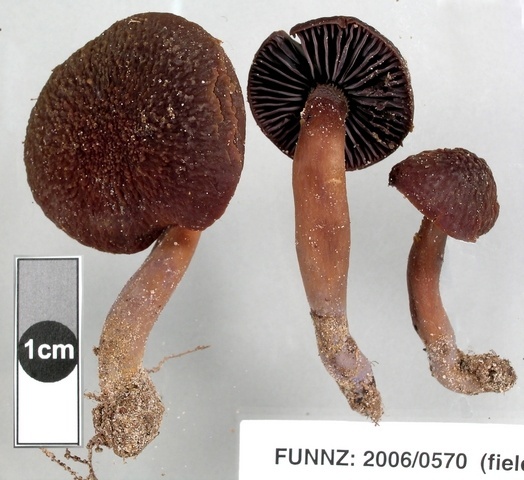 However, 14 collections had only one previous collection, of which 4 new to NZ and 4 were the second collection after the original Type specimen (see below). 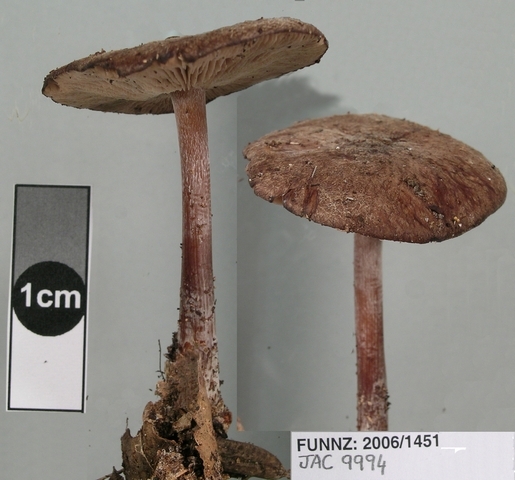 In addition, the use of the FUNNZ tracking system allowed us to capture and collate 425 images of 165 taxa. 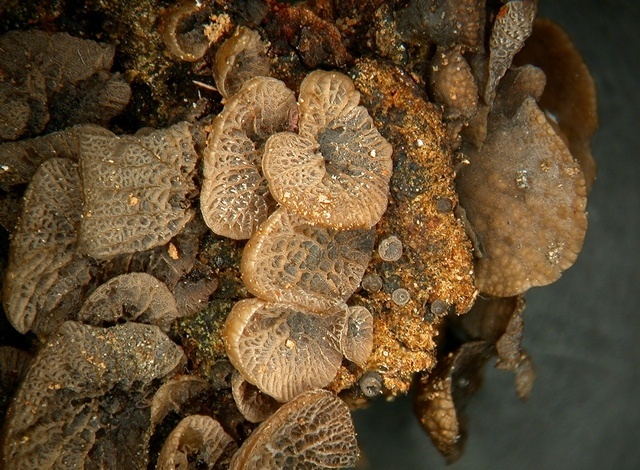 Images of macrofungi in their fresh state are critical to identification because gross morphology is lost on drying. 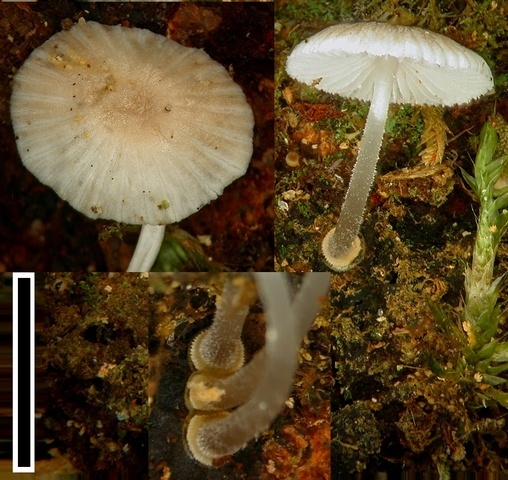 Many of the taxa had no previous captured image. The complete species list, prepared using the protocols and databases funded by TFBIS, is now available. Only a subset of the information is currently publicly available (collector & determiner details are withheld). The list provides linkages to captured images and corresponding PDD collections. 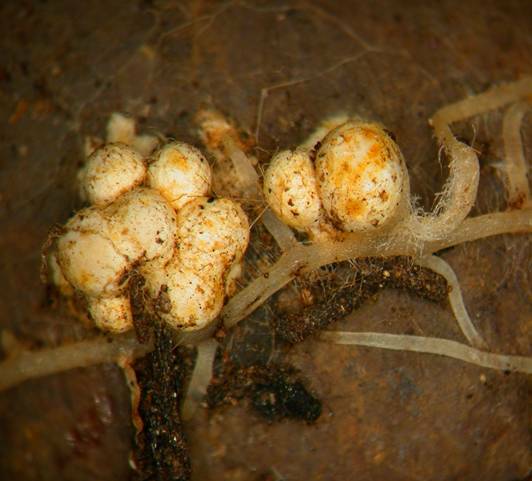 Pythium insidiosum – On a horse! There was also a press release about the foray. 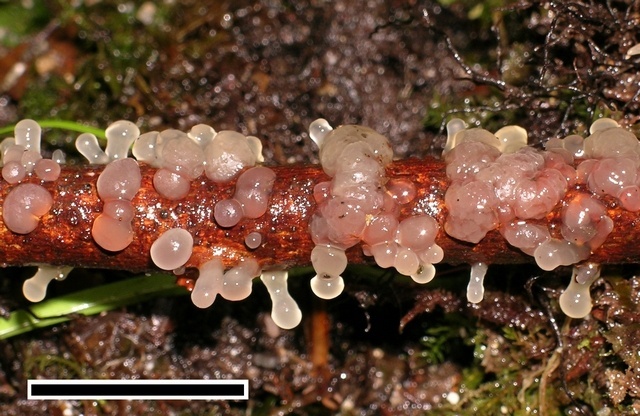 Scale = 5mm. 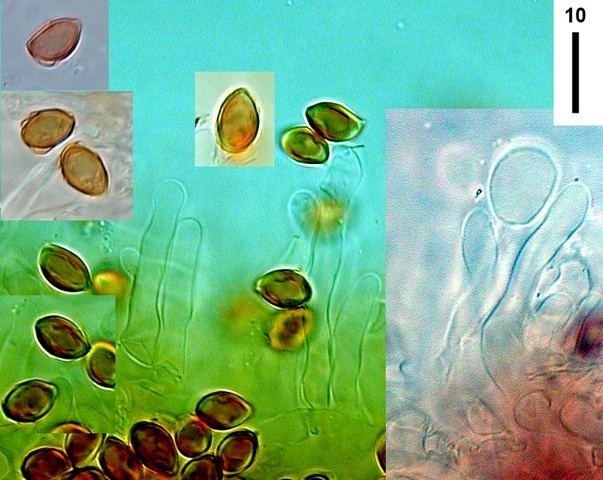 Calyptrate spores and cheilocystidia. 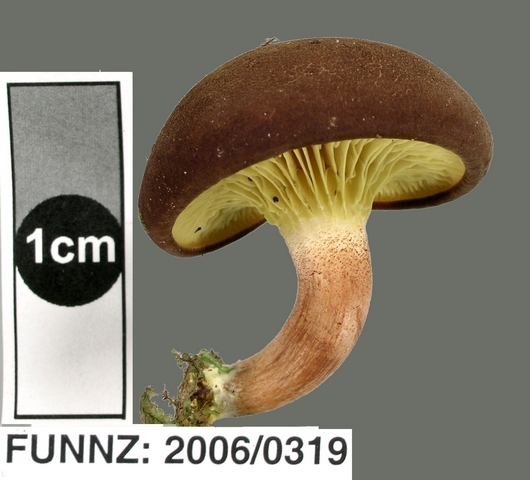 Scale = 5mm. With yellow/orange basal disk. Collected by Pam & David Catcheside. 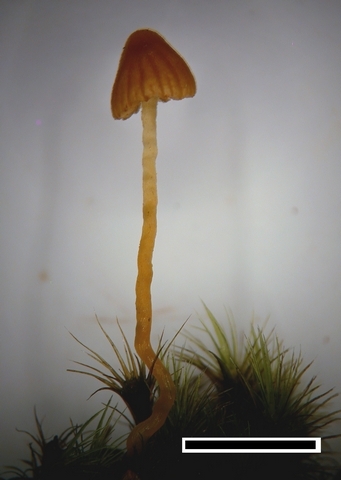 This was originally described from Japan (from hotel grounds during an International Mycological Congress). 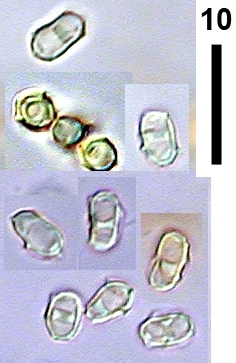 A lookalike is Campanella vinosolivida but that has cylindrical spores, rather than the globose spores of a Resupinatus. 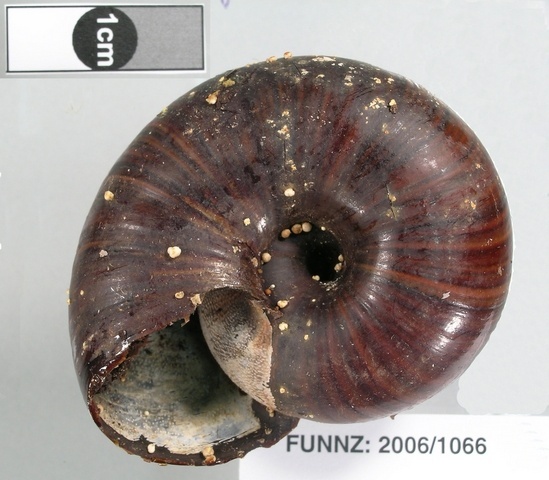 This, as yet unnamed, taxon has recently been discovered in at least 4 sites across the country on empty Powelliphanta shells. 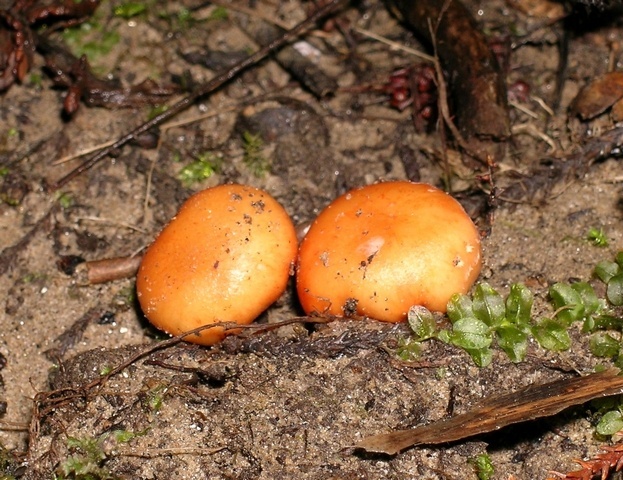 It isn't known if the fungus is detrimental to the snail.